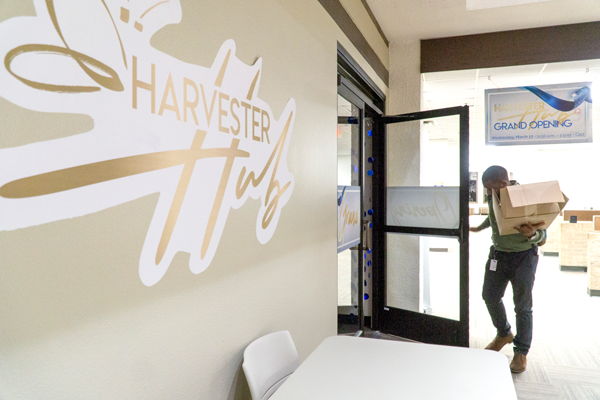 A new Harvester Hub office will open Wednesday, offering students a more direct way to get involved in campus clubs and activities. A grand opening ceremony will be held from 11:50 a.m. to 2 p.m. in the new Office of Student Engagement and Retention space, which is located in C-217, just above the Hive in the center of campus. OSER Associate Dean Alex Snowden said the Harvester Hub will serve as a home base for student clubs and campus activities. OSER staff members who oversee activities such as the common book and intercultural engagement will also be based there. Snowden said the centralized location will give students quicker access to information about clubs and organizations on campus, which could help increase membership and awareness. In addition to club oversight, the new office will also be a secondary site for acquiring student IDs. Starting April 1, all students are required to display their student ID on campus. “When new students get their IDs they can be introduced to the whole engagement side of Eastfield,” student development staff member Cindy Fabela said. Snowden said the primary OSER office, still located in C-237, will now be solely focused on career services and expanded academic advising.